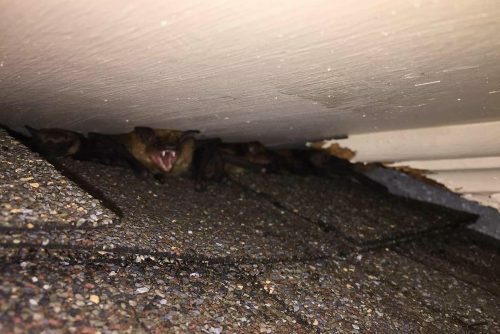 Bats are a common problem in urban NC. 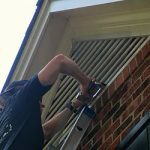 Bats can fit in very tight spaces and are mostly found inhabiting gable vents, cracks behind chimneys, small cracks and crevices on the home, and behind shutters. All these common problems can easily be eliminated through the process of exclusion. 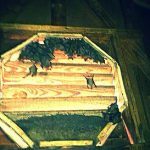 By simply excluding or funneling the bats out through one way type doors, and screening and fixing the entry points, one can reclaim their home back. Although relatively small, bats can make a big mess. The feces or guano can accumulate inside the attic causing potential health risks. 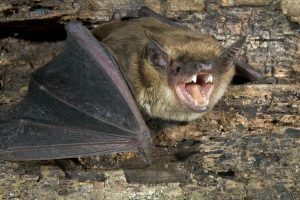 Bats also can carry diseases themselves, rabies being the greatest concern.